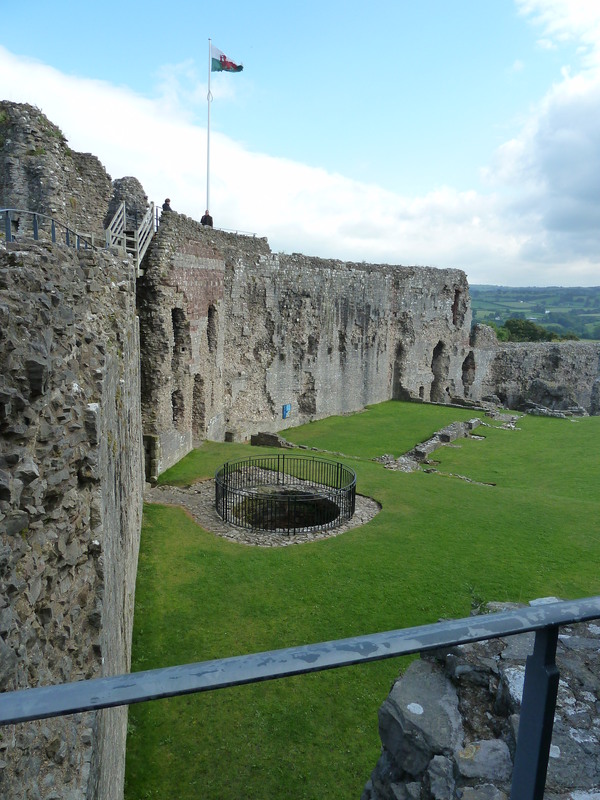 Denbigh Castle in north Wales is one of the fortresses built after Edward I’s subjugation of the Welsh. The hilltop site was previously a stronghold of the Welsh and Dafydd ap Gruffudd had a palace here, but it was destroyed when Henry de Lacy, Earl of Lincoln, built his castle in 1282. 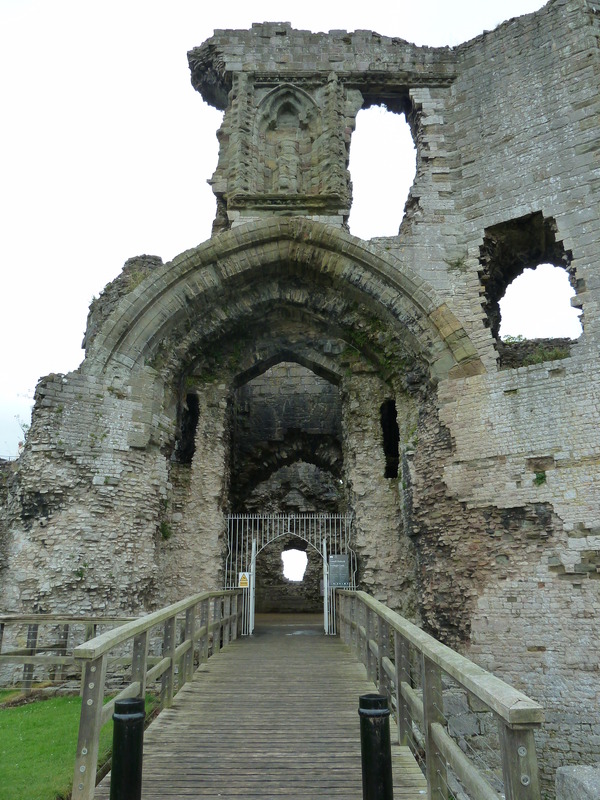 The castle has a striking triple towered gatehouse, probably designed by Master James of St George. As I approached the ruins I heard the sound of the portcullis being raised and horses hooves echoing across the drawbridge. It wasn’t psychic powers, but a recording and a hidden sensor, and although it was entertaining at first, it did become annoying after a while as more and more visitors approached. More interesting for me was the carved figure, headless now, seated above the gateway. Is this Henry de Lacy? I think so. 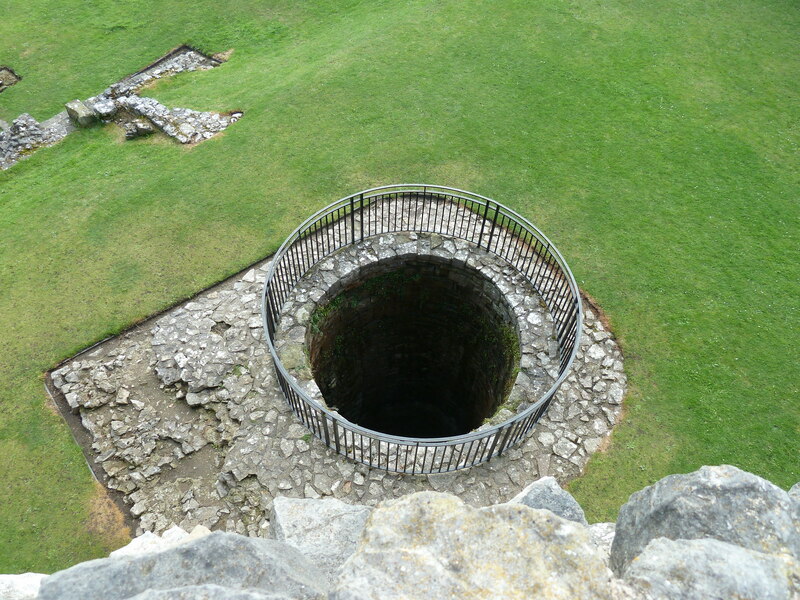 It was here in the castle well that Henry’s eldest son, Edmund de Lacy, is said to have drowned. 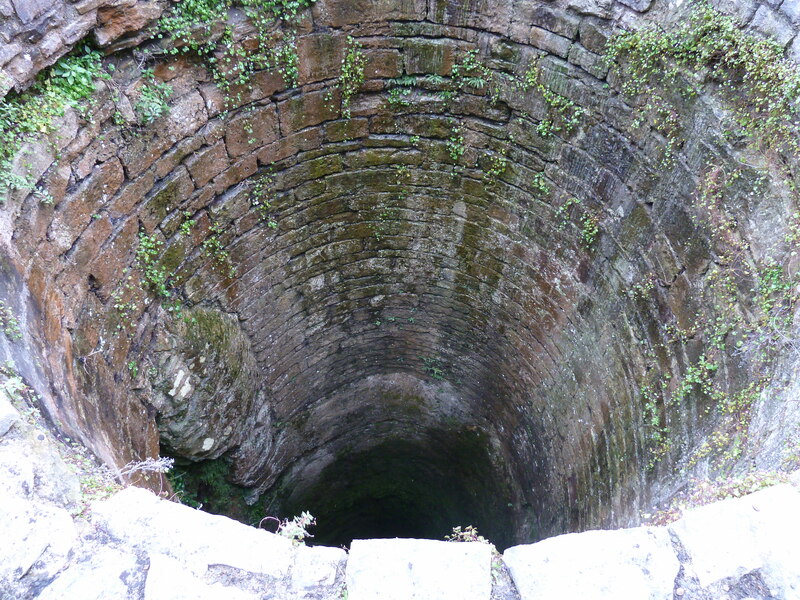 It’s a deep well and although there is no water in it now, it’s easy to imagine how dangerous it must have been. Denbigh was built in two phases. The first phase during 1282 to 1284 was the construction of the outer walls which also surrounded the town for defensive purposes. 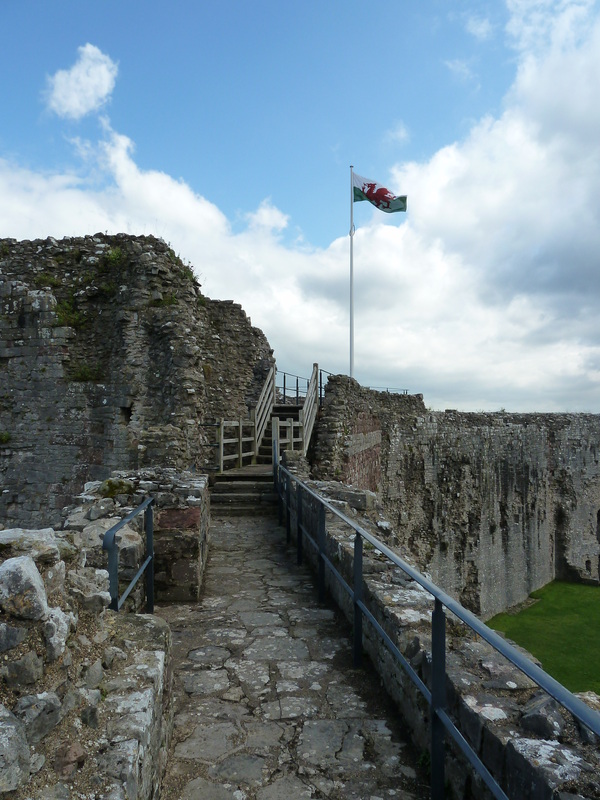 But rebellion by the Welsh halted the work and it was not until 1295 that the bulk of the castle, including the towers, was begun. 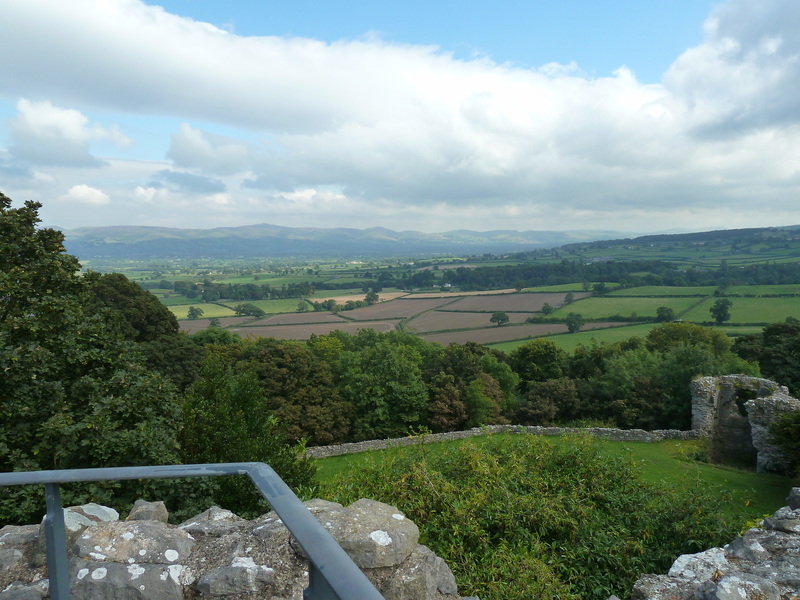 Climbing up onto the wall walk, the strategic position of the castle is obvious as you look down over the town and across the Vale of Clwyd. No one could have approached this fortress without being seen. The building work went on until the beginning of the 14th century and it isn’t clear if it was completed by the death of Henry de Lacy in 1311. 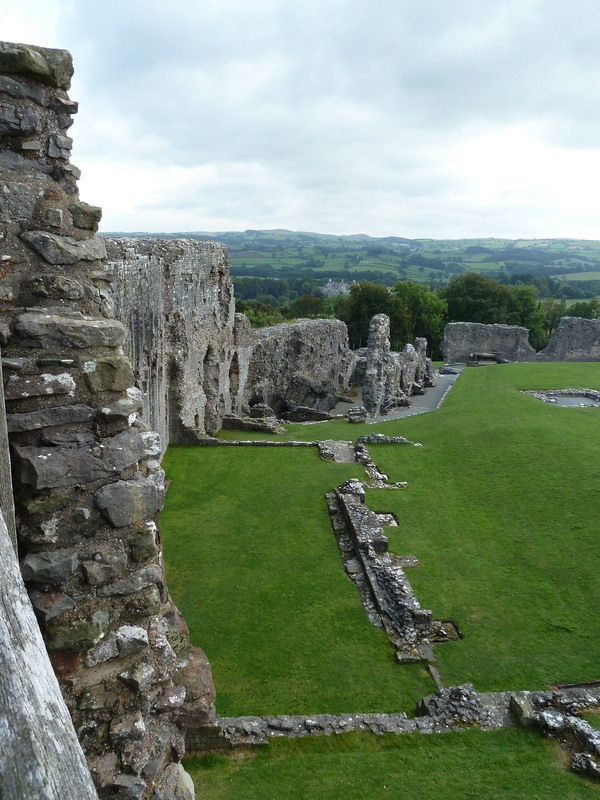 Because of the death of his son, Edmund, the castle passed into the possession of Henry’s daughter Alicia and her husband, Thomas, Earl of Lancaster, but after Lancaster’s rebellion against Edward II, the castle was taken from Alicia and given to Hugh le Despenser. 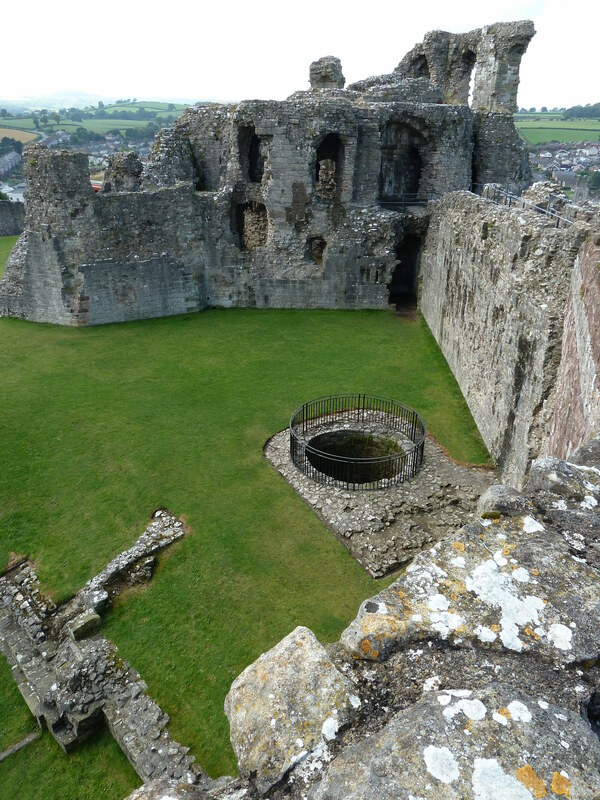 Even when Despenser was replaced by Roger Mortimer, Denbigh was still withheld from Alicia and it was not until after Edward III took his throne that the castle was returned to her. You can read more about Alicia’s fight for the return of her lands in my novel The Circle of Fortune.